The first thing that attracted me to this book was its author. He is ninety two years old and I have always wanted to live to be a hundred. I admire such people purely for the knowledge and experience they would have gained. My respect for the author just multiplied manifolds as I kept turning page after page of this book in awe. We tend to take so many things in life for granted be it the simple pleasures like love, laughter, relationships, loved ones or the bigger things like success, money, health, name, fame etc. We never realise the real value of something till the time it is lost and sometimes it is too late to even repair the damage done on it. Life is its own way is very beautiful but we try to morph it into something we want which makes it ugly. Just like our loved one. When we love someone we love that person for different things but the moment we get that person in our life we tend to try and make that person into what we want them to be rather than just letting them be. We forget that in the first place we fell in love with them for what they were and sadly we try to reduce them to be a caricature of ourselves. They are neither their ownself nor what we want them to be and somewhere it is all lost. The relationship, the person, the feelings and in this process we hurt so deeply that it takes ages for anyone to come out of it, and many a times that never happens also. 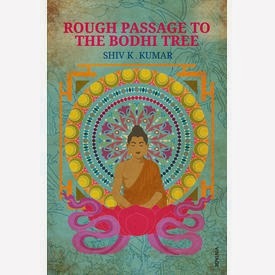 Since childhood we have heard the story of Prince Siddhartha becoming Lord Buddha... but this book was different. For though it was the same tale it was narrated in context to our lives making the readers connect with it very deeply. I have always respected Buddhism as a religion and admired Lord Buddha for many things. I have also been a devout follower of his preaching to quite an extent but this book left me asking for more. I want to read more about Buddhism now; there is a yearning to learn about it and a quest to find out as much as I can. This book is about life, simply put. Life with all its ugliness it is still beautiful and that is what you will conclude after finishing this book.The author has done a brilliant job here and at his age of 92 this wisdom surely speaks of the immense knowledge he has gathered in his journey till now. Truly a commendable book, highly recommended for it does not preach it makes you want to learn! 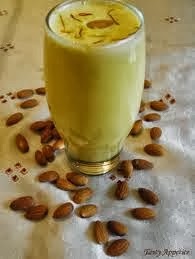 This book is badam milk - refreshing, rejuvenating , healthy and tasty!